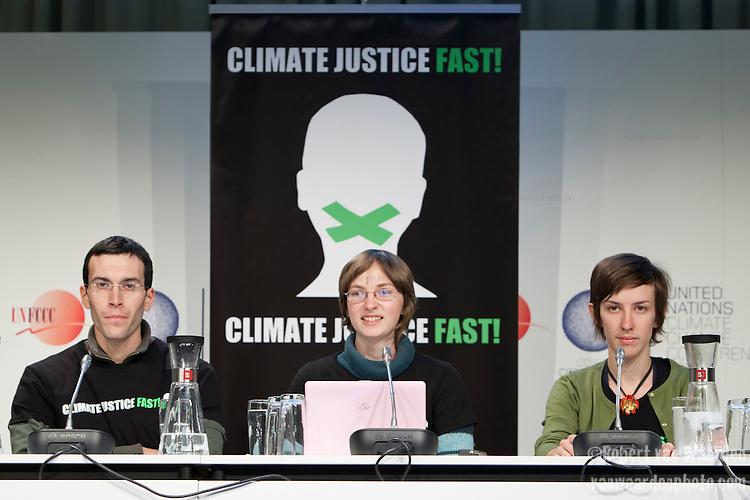 On day 32 of a hunger strike, the members of the Climate Justice fast held a press conference at the UNFCCC COP 15 in Copenhagen. Climate Justice Fast! was an international hunger strike to call for strong, just action on the climate crisis. It took place from the 6th of November 2009 until the conclusion of the failed Copenhagen climate talks on the 18th of December.